Is It Weird If I Name My Baby Eggplant? 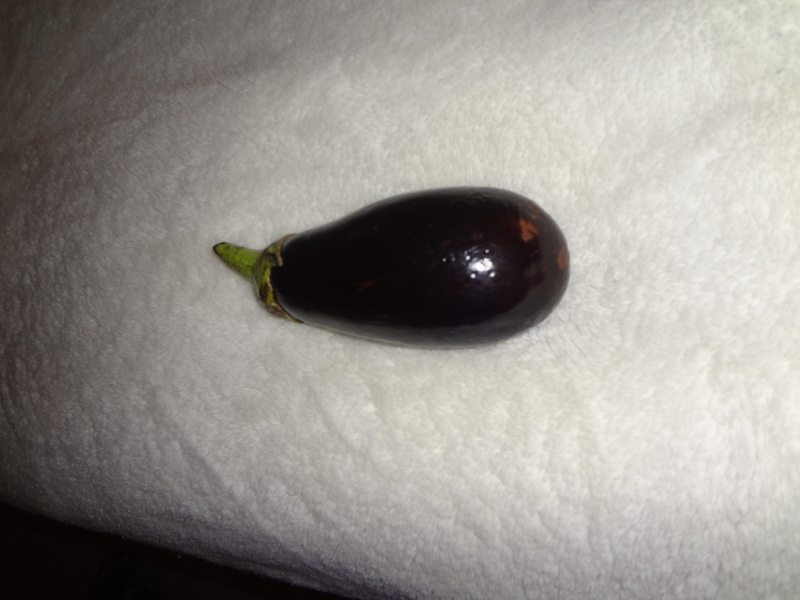 I found a baby eggplant, the cutest thing, and also perfect for a single lady who doesn’t need a gigantic eggplant hanging around her kitchen. 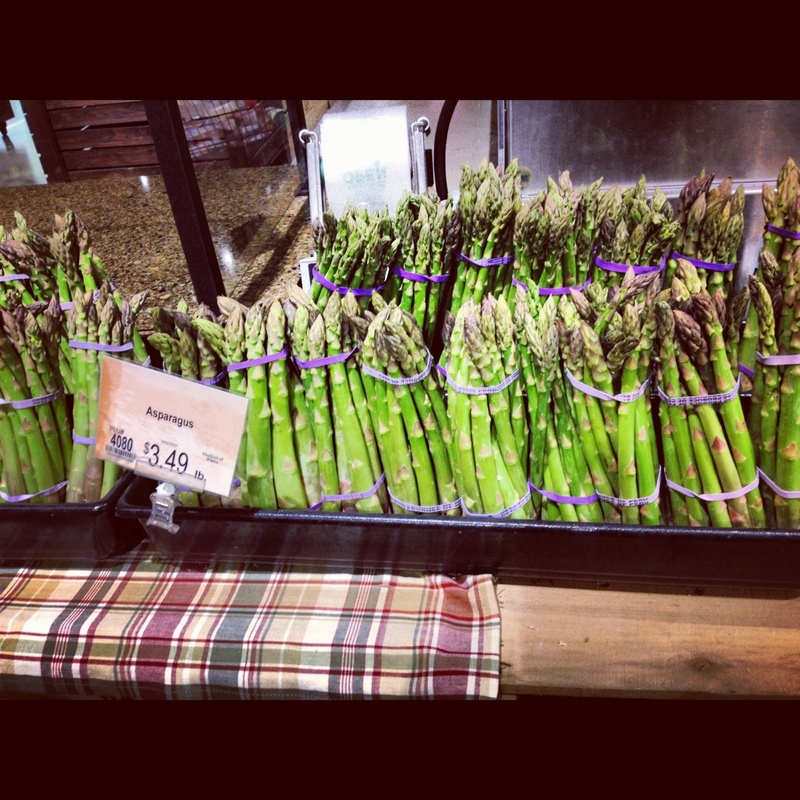 Asparagus, how can you not buy them when they look this gorgeous? Wegmans hires actual model fruits and veggies right from the commercials and stocks the produce section with the babes. They look good in anything, even plaid. How to steam: put it in a microwave safe container, put about 2 tbsp of water in the bottom, cover with saran wrap, leave room to vent and hit the 10 minute button. Bing bang boom. Delicious. Anddd it is Christmas time I guess? 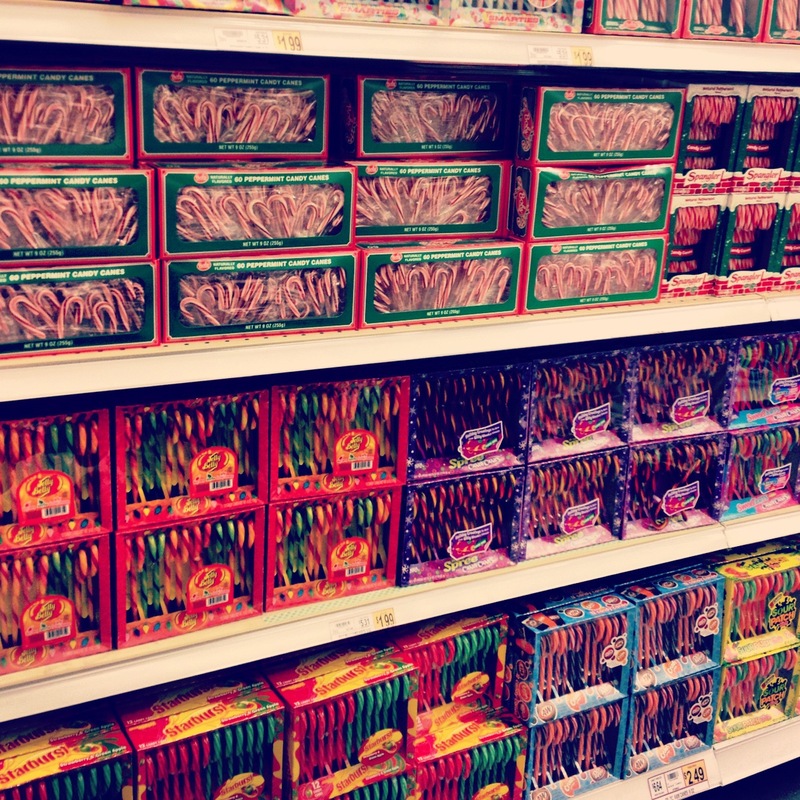 I am just putting my flip flops and shorts away and they already have candy canes on the shelves? I am not going to complain, I could eat candy canes for breakfast, lunch and dinner. I think I may invent a new diet called “The Elf Diet”. Would you try it? 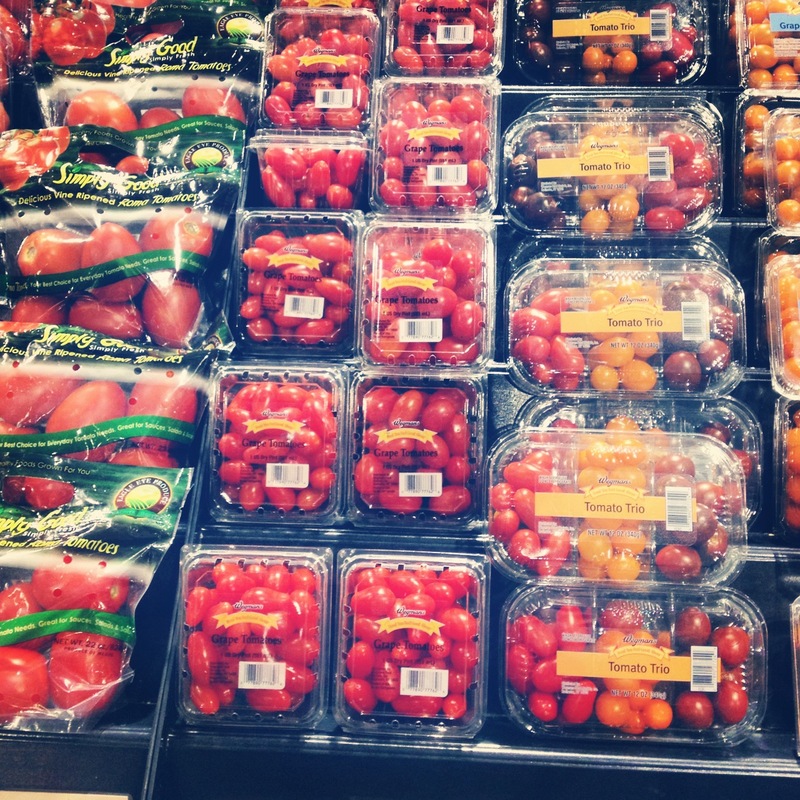 You say “tomato”..I say “tomato”…yea that joke doesn’t work as well as it does out loud. Too bad I can’t actually “speak” to you guys on this blog thing. I had to do it!! 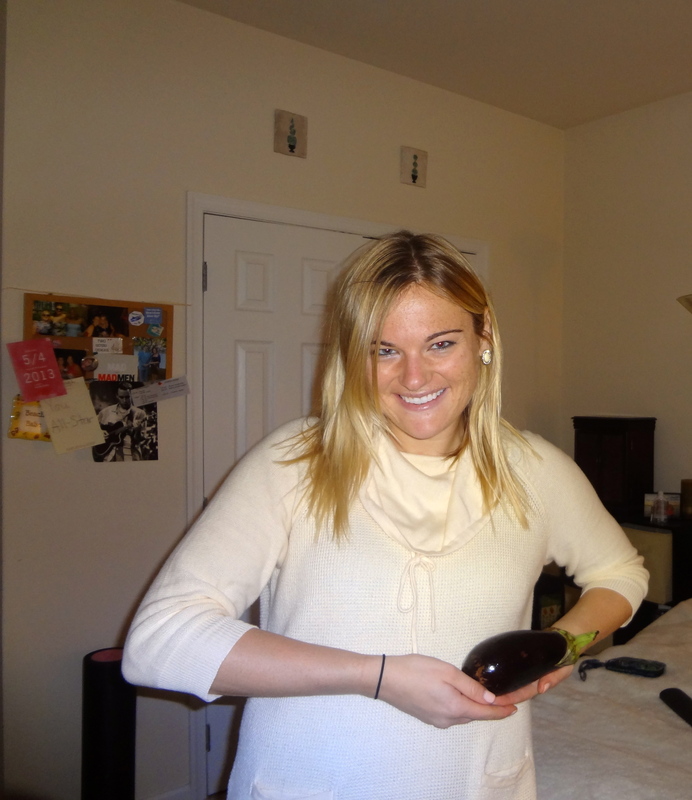 Yes, I am cradling my baby eggplant. I am sorry but if I have to look at my facebook newsfeed every day and see all of the cute baby portraits, ultra-sounds, and pregnant bellies…I am sure as hell warranted a picture of me bonding with MY baby. Guys, I might be going crazy. Tomorrow I will be posting all about election day! ….and by that I mean Allie and I are going to be ELECTING our marathon day outfit tomorrow at the Nike outlet. Stay tuned!! It is very exciting, and may come down to the very last vote. Hope everyone has been well-informed on dry fit, Nike training gear, and compression socks.